Dudley Public Health are aware that people in the borough make amazing things happen in their communities. We want to support these ideas and inspire people to come together and “Make it Happen”. 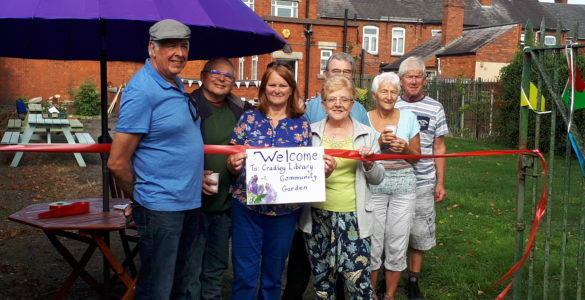 By talking to people in the community we know that a number of groups have ideas for community led projects but require some support (financial or other) to make things happen. Public Health wants to support community led activity, encouraging collaboration and connections between groups. We are inviting groups and individuals that want to make things happen in Dudley to attend the next “Make it Happen” event on the 16th March 2019 at the DY1 Community Building, Stafford Street, Dudley. This event is a great way to network with other community groups and share ideas, knowledge and resources. Projects will have the opportunity to provide a three minute pitch to showcase their idea and the difference it will make. Prior to the event individuals/ groups with ideas will meet with a Community Development Worker and use a simple project planning template to help them map out what they would like to do, identify any existing resources which they can build on, and identify the benefits to the community. During the event project ideas will be shared and everyone present will be able to offer suggestions and support for how these projects can be delivered. This may include sharing of resources/ learning, council officers and elected members having conversations with you about policies or procedures which are blocking community led projects, or in some cases, allocation of small amounts of money to help people to get projects off the ground. If you have an idea or project you want to make happen, get in touch with the Healthy Communities team via email: healthycommunities@dudley.gov.uk or telephone: 01384 816892. You can also register for the event at https://mih.eventbrite.co.uk.